The Las Vegas Aces (12-15) are 1.5 games behind the Dallas Wings for the eighth playoff spot with six games to play. About the Aces: Las Vegas (12-15) is 1.5 games behind the Dallas Wings for the eighth playoff spot with six games to play. Possible ramifications from the Aces’ decision to sit out against the Washington Mystics on Friday night also hang over the team. 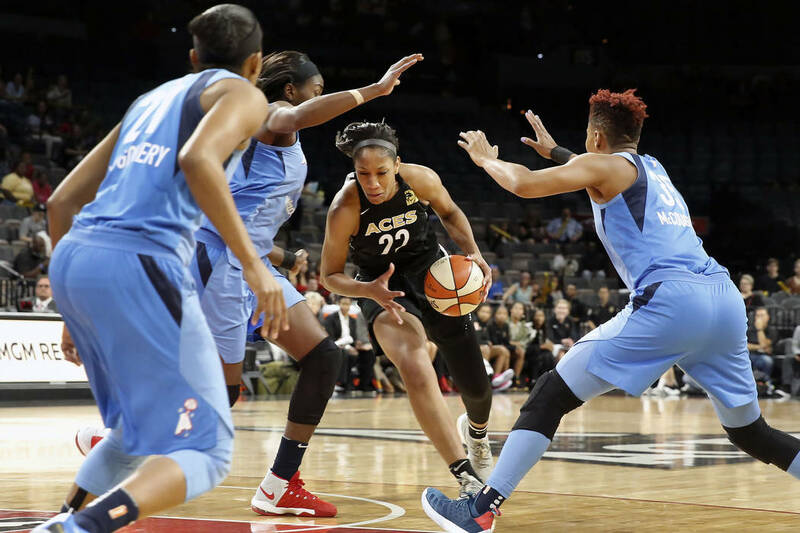 The WNBA had initially hoped to rule on the cancellation within 24 hours, but the Aces must move on after a blowout loss to the Connecticut Sun on Sunday. Starting point guard Kelsey Plum is coming off one of her most productive outings with 21 points on 8-of-10 shooting, including 5-of-6 from 3-point range. A’ja Wilson and Kayla McBride scored 24 and 17 points, respectively, and anchor the offense. The Aces, who had won six of seven before the All-Star break, have allowed more than 100 points in back-to-back games, and surrendered a franchise-record 109 points to the Sun. They fell 87-83 to the Dream in their lone meeting June 11. About the Dream: Atlanta (18-10) has been the best team in the league over the last month, winning 10 of 11 to seize the No. 2 seed. Two-guard Tiffany Hayes is in the midst of an All-WNBA caliber season, averaging 17.7 points on 47.1 percent shooting. Veteran Angel McCoughtry remains one of the league’s best players and averages 16.3 points to go with 6.1 rebounds.